Understanding your vessel’s stability is the single most important thing you can do to ensure the safety of your vessel and crew. Now you can simulate and learn the vital lessons of stability – using your own home computer. 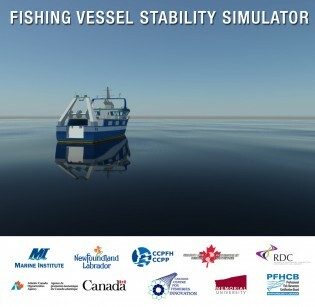 Built specifically for the Canadian fish harvesting industry, the Fishing Vessel Stability Simulator uses innovative simulation technology to help you understand the principles of vessel stability and how they apply to your vessel.